Toilet bowl cleaner that's strong and effective, but not destructive to the environment. Perfect! Will not interfere with septic tanks. For best results, soak overnight, then scrub thuroughly the following morning. Acetic acid, aqua, citric acid, coconut oil derived detergent, corn sugar gum, vegetable glycerine, lemongrass oil. 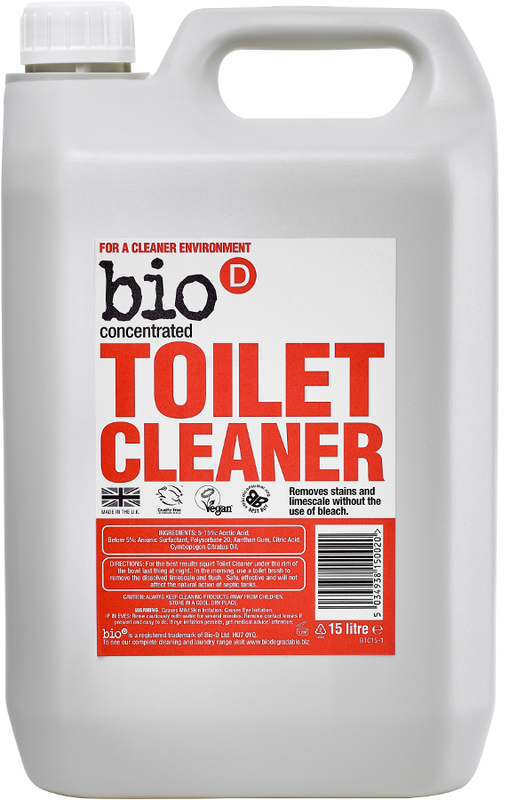 The Bio D Concentrated Toilet Cleaner - 5L product ethics are indicated below. To learn more about these product ethics and to see related products, follow the links below. Smells so bad... I regretted I bought 5 litres straight away before testing it. It does clean...but toilet smells like vomit. 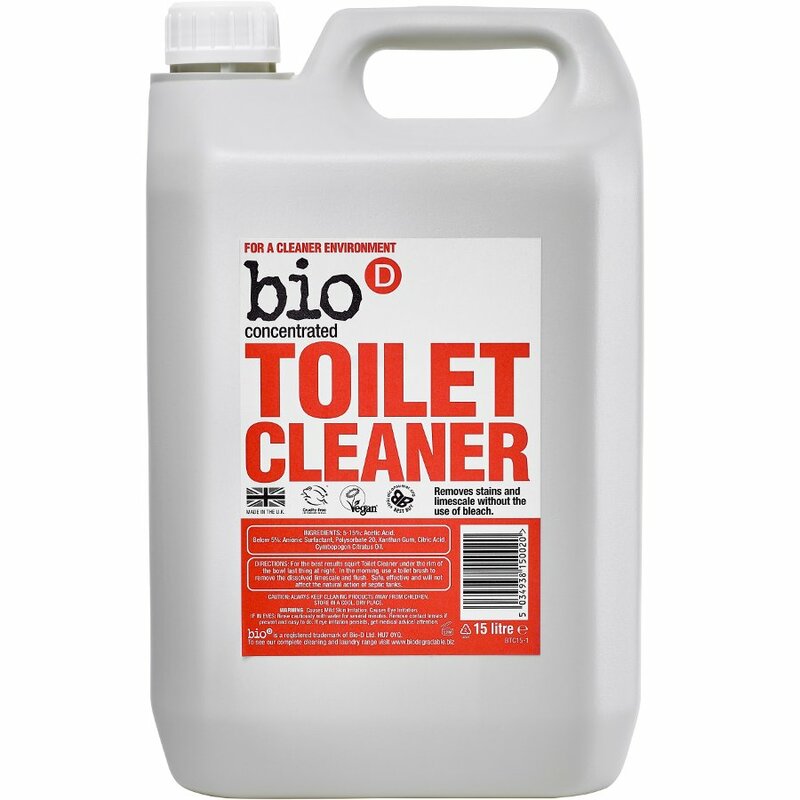 There are currently no questions to display about Bio D Concentrated Toilet Cleaner - 5L.